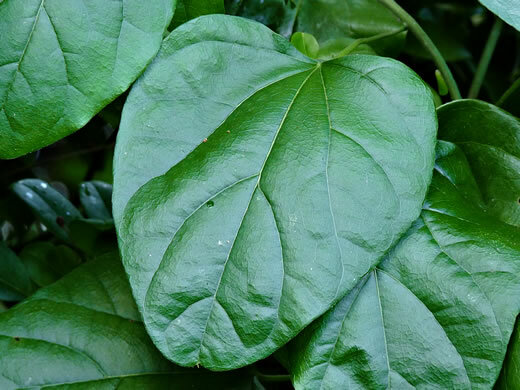 Your search found 16 image(s) of palmately veined leaves of vines. 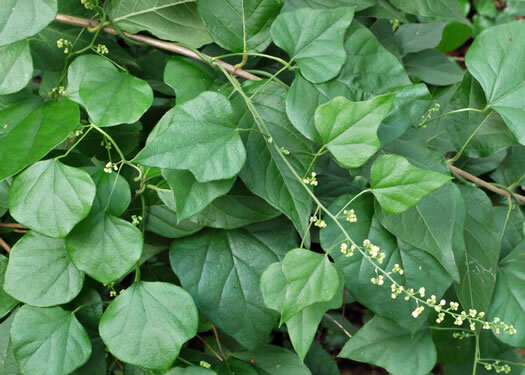 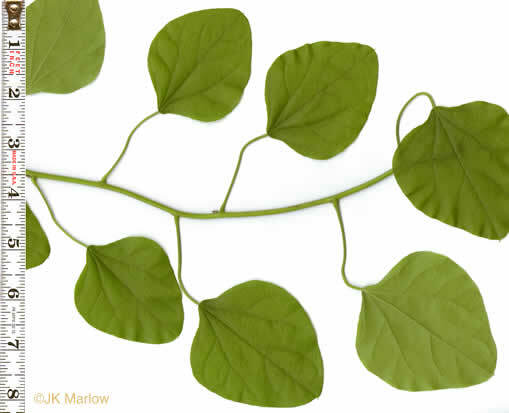 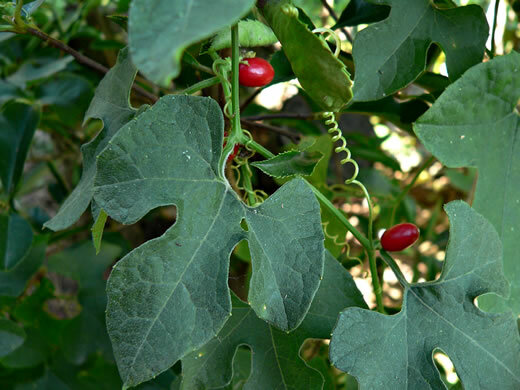 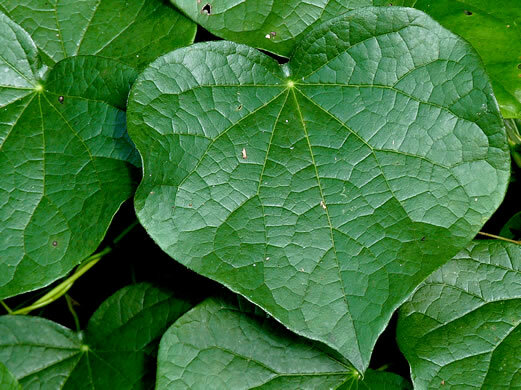 Leaves are rough to the touch & occur on long petioles up to 8" in length, per Invasive Exotic Plants of North Carolina. 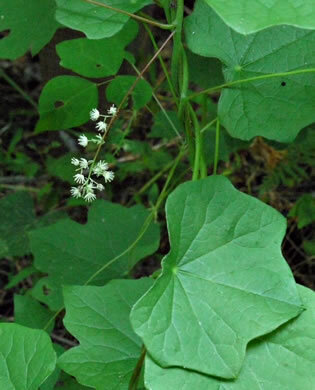 Leaves peltate, ovate, 5-7 lobed or angled, whitish beneath, per Guide to the Wildflowers of SC. 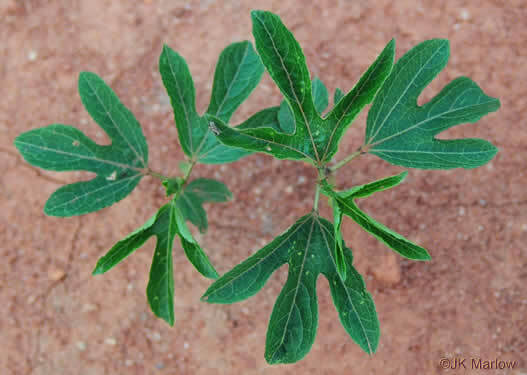 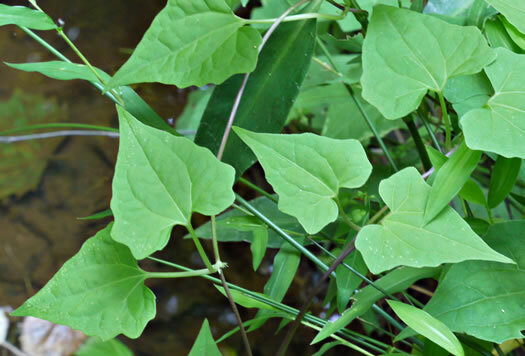 Leaves palmately veined, lobed or not, petiole attached inside lower margin, per Woody Plants of the Blue Ridge. 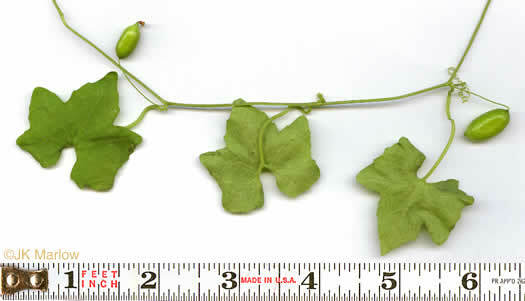 Leaves not peltate, 3-7-lobed, lobes acute, sinuses usually deep, base cordate, per Weakley's Flora. 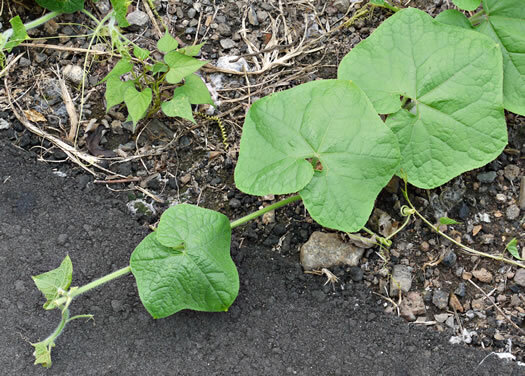 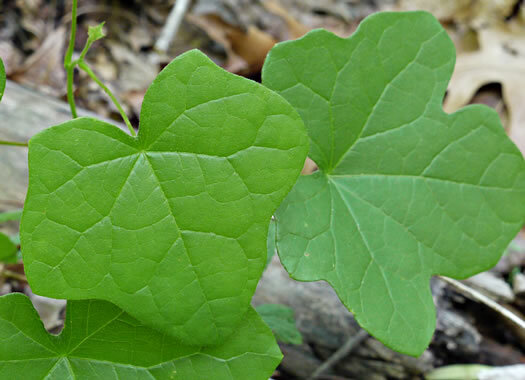 Leaves much broader than long, 3 rounded shallow lobes, without teeth, per Wildflowers of Tennessee, the Ohio Valley, and the Southern Appalachians. 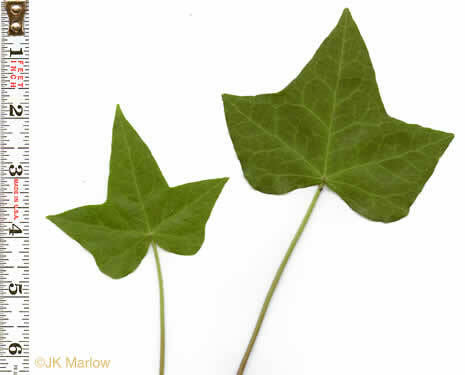 Leaves of typical juvenile plants have 3-5 pointed lobes, per Nonnative Invasive Plants of Southern Forests. 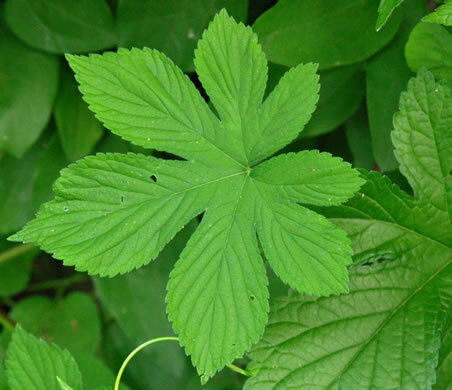 Leaves palmately lobed, the divisions angular and toothed, per Weakley's Flora. 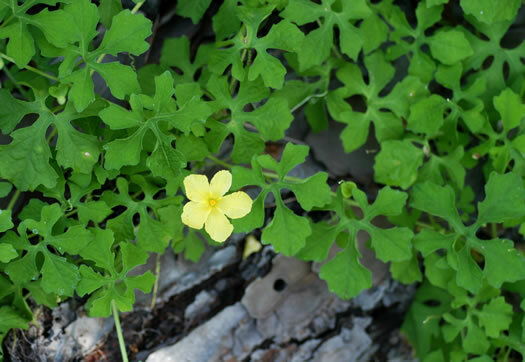 Leaves toothed, shallowly to deeply palmately 5-lobed; base deeply cordate, per Wildflowers of Tennessee. 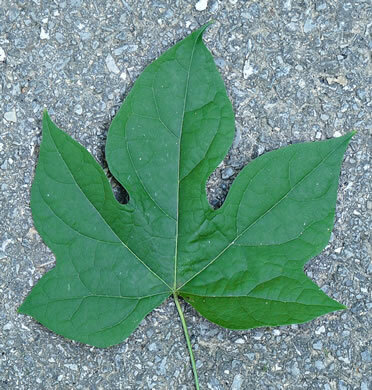 Leaves 3-5 lobed with acute lobes & apex and widely cordate base, per Vascular Flora of the Carolinas. 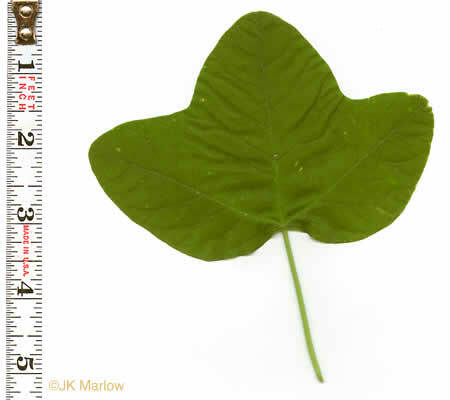 Leaf blade suborbiculate-orbiculate, deeply palmately 5-7 lobed, base cordate, per Flora of North America.